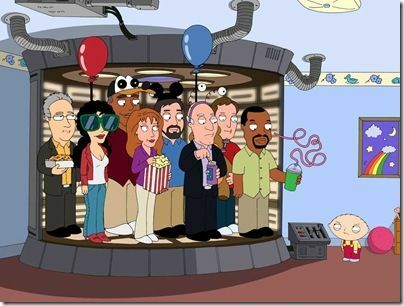 Seth Macfarlane, creator of TV's Family Guy, is a very big fan of Star Wars and Star Trek. So, when the late Gene Roddenberry was inducted into the Television Arts and Sciences Hall of Fame recently...Seth was invited to do a tribut to Mr. Roddenberry. I love Amy and she is usually hilarious and comfortable whenever she speaks. Not so much on this day. They should have let Stewie do Seth's intro...that would have been a hoot. Amy Poehler looks pissed off...wonder what that's about? And Seth McFarlane? Genius...and HAWT! I know...she normally is so perky and upbeat (and funny). Everyone has an off-day...perhaps that was hers. Or maybe she was just drunk.